When I first decided to reblog this post, I thought I wouldn’t have words to write as an introduction. Then it occurred to me that I read about a group of mothers who lost their babies to adoption, and two adoptees, all who are a generation younger than I am. I look at the photos on the blog’s page, faces of young children, faces of young parents. Yes, I was there once. And I teetered on the brink of suicide for most of my adult life . I am currently about a month and a half away from my 59th birthday. Forty years ago, almost 41 years ago, when I was 18, I was found by natural family I was never supposed to know. Then turmoil ensued in my adoptive homelike and in my inner self as I numbly went through meeting natural family, beginning at my age then and continued for the next few years. I felt the wrath and disgust of extended family from both sides berate me, pick on me, while only a handful were actually, lovingly, my true family. Through it all, I have been suicidal for most of the past 40 years. Nightmares began that very first night. Sweats, shaking, sobbing alone and in public, fear, anxiety, panic, feeling as though I didn’t know my surroundings, feeling confused, feeling angry that it all was happening — I thought I was alone. Twenty years into reunion, a few years after my divorce, I tried to kill myself in front of my children. It wasn’t planned. I didn’t know what I was doing. I was in psychological pain from constant attacks invading my personal life. 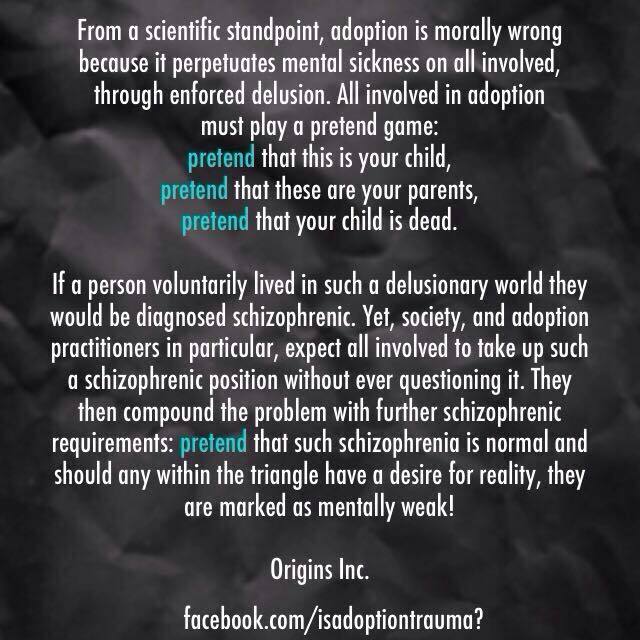 I was in psychological pain from the condition of being adopted. Now, as I grow older, my anxiety is somewhat controlled; but it is still there. 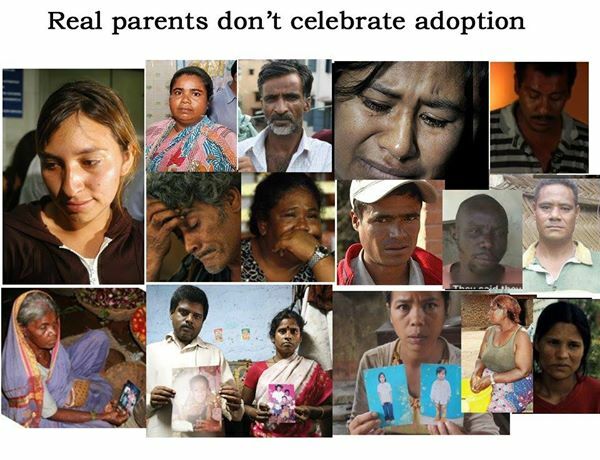 Adoption is loss, adoption is pain. And now, I see another generation suffer in similar ways that I did. I read about a younger adoptee who completed suicide. And his friends are left in tears. I’ve felt like a “trapped animal” so many times in my lifetime. I’ve been suicidal, many times. Being adopted is like being totally alone. And I am a domestically-born adoptee. Here are thoughts from “an Asian face in a predominantly white world…” …. In honor of National Adoption Awareness Month, oh, sing me those blues, Ms. Holiday! Them that’s not shall lose. I’m looking out of our kitchen window at the first major snowfall of the season as I’m writing, and though it’s visually beautiful, there’s something about the muffled quiet and the bitter cold of a snowy winter that puts my mind in a state of solitude and melancholic introspection. Alone, because odds are good that I will never know my original family. Alone, because my adoptive family does not get me. At all. Alone, because I’m an Asian face in a predominantly white world, and I’m reminded of that every day. My name at birth and baptism was Doris Michol Sippel. That was my legal name until the Surrogate Court Judge signed my Final Order of Adoption one year and one week after my birth. He then sent orders to the Registrar to seal my birth certificate and create a new one in my new adoptive name. My Amended Birth Certificate was issued three months later. When I was reunited with my natural family in 1974, my adoptive mother gave me all of my birth certificates, baptismal certificates, and my Final Order of Adoption. I own my OBC. I do not have the legal right to own it. Which is why I have been fighting for adoptees’ rights for 40 years. I had a home. I did not need to be adopted. I did not need to lose my entire family because of adoption. Therefore, I am proud to be among the New Abolitionists. TAKE A STAND WITH ME! BURN THOSE FAKE BIRTH CERTIFICATES!!!! Do I even have to say I think it would be a better use of money to “crowdfund” a woman’s keeping her baby? I hope I don’t. Here’s yet another article that might as well have been written with the sole purpose of showing how little adoption is about the best interests of the child and how much it is about the desires of adults. A seven year-old takes on National Adoption Month, Gotcha Day, and generally tells it like it is.